Franklin Graham, full interview, 25 minutes. 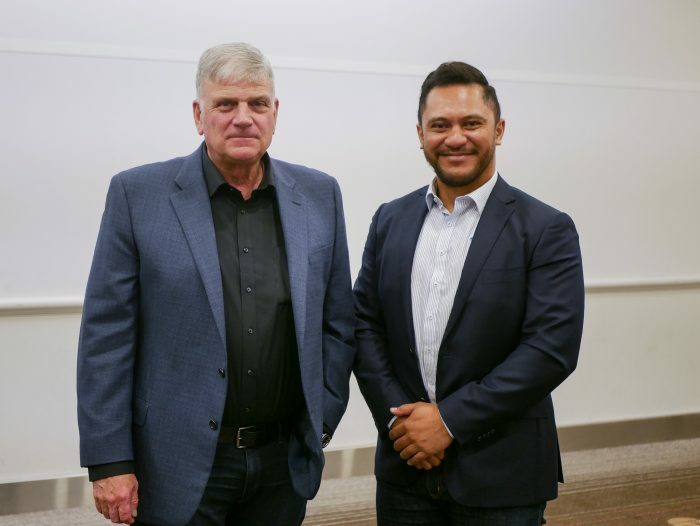 G’Day Tama here, on Saturday I was given the privilege of interviewing Franklin Graham. He’s the president and CEO of Samaritans Purse. He’s also the president and CEO of the Billy Graham Evangelistic Association and of course he is the oldest son of Billy Graham – an absolute titan of the Christian faith. Now I thought we were going to be alone in a room together, maybe one or two of his guys. But no, he had his entire crew there. Security, journalists, photographers hanging on every word that Franklin and I spoke to each other. Intimidated was one word to explain how I was feeling. But what I also felt was the gravity of speaking to a man who has rubbed shoulders with the last few American presidents and has worked with his father to see hundreds of thousands of people come to Christ in Jesus Name. “I always felt like my job was to help my father finish well, to accomplish everything God has put on his heart. I tried too help him accomplish that… Since my father passed away last year, I’ve been focusing on Ok God, how do you want me to finish well for you?” (15min 50sec). 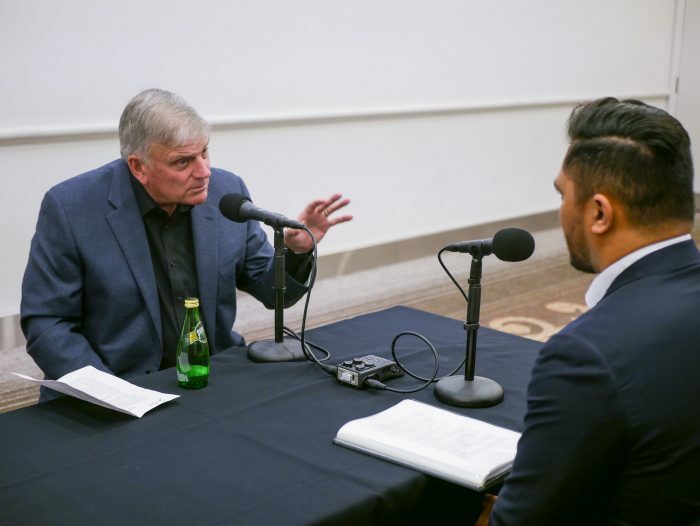 Franklin Graham shares about his dad’s legacy, the passing of the mantle, raising families, spreading the gospel – it was a jam-packed 25 minutes and definitely worth a listen.